How well do you know Jesus? Most people are comfortable that they know who Jesus is and sometimes have lost some of the power of who Jesus is. 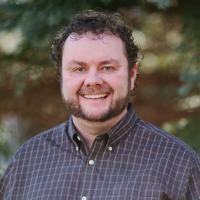 In this chapel, Dr. Bradley Noel will give us a fresh look at Jesus because he believes that Jesus and his message are far more radical and unbelievable than we may have recognized. He walks through a number of story of Jesus and reinterprets them as the early church would have heard them.